HAVE YOU HEARD OF HYDRO-BLOCK? If you haven't heard of Hydro-Blok, you are seriously missing out. Hydro-Blok is the waterproofing system that is changing the way bathrooms are working. In addition, Hydro-Blok is the newest product available at GBW and this product is making quite a splash. Have you ever wondered what it would be like to have a waterproof bathroom? How great would it be not to worry about mold in the walls? Hydro-Blok is the product to provide all this and so much more. 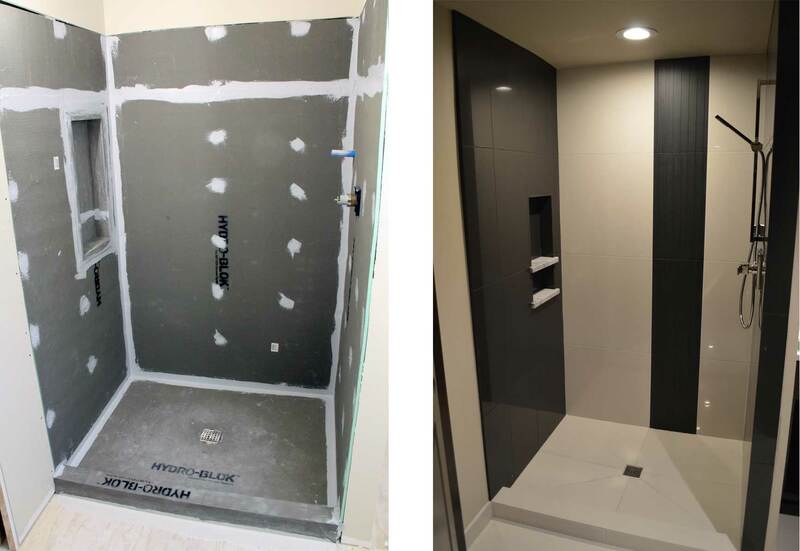 With a Hydro-Blok system, you are getting the easiest, quickest and most user-friendly way to build a waterproof shower or tub that you can trust to keep your bathroom free of normal water damage and mold. The added attraction to Hydro-Blok systems is the affordability and the ease of installation. Whether you are a contractor or a DIY'er, you will find that this product offers simplicity over the traditional methods of bathroom insulation. 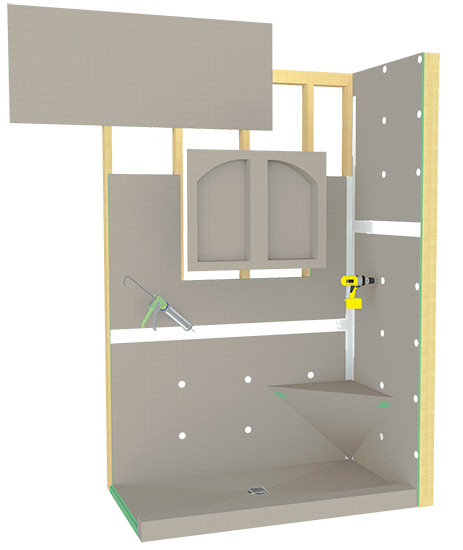 Hydro-Blok offers an XPS Foam core and polymer-modified cement coating to provide the magnificent waterproofing system of shower pans, wall boards and accessories for easy installation. These products are lightweight, strong and ready for your favorite tile, mosaics or stone products with maximum adhesion after installation is complete. Hydro-Blok was created to impress in all areas of bathroom waterproofing. A traditional bathroom install takes approximately 2-3 days to install minimum from start to finish. Now imagine a finished standard shower install (3 x 3) in about 2-4 HOURS! Here is a comparison chart between traditional shower installs and Hydro-Blok Shower System. There is so much about this product you don't want to miss. To know Hydro-Blok is to love it. This simple system allows home owners to save money in more ways than one. Furthermore, the bathroom installation is done is a timely fashion without having to worry about mold growing later. This system is so much faster to install than any other system. It is can be installed and ready to be tiled in as little as 2 to 4 hours for a 3x3 shower, even the bigger showers usually don't take more than a day to install. The BEST part is that this product has DIY'ers in mind, creating a simple waterproof system with ease and no need to hire someone to help. Check out the link below to check out how easy Hyrdo-Blok is to install and call today to order your Hydro-Blok! !